Here’s a professional writing technique to get your story unstuck. Sometimes the best way to figure out what happens next in your story is to ask yourself what wouldn’t happen. That’s according to Emma Coats and her Pixar’s 22 Rules of Storytelling. After practicing this technique in our writing prompt today, you’ll have a no-fail way to move your story forward no matter how long you’ve been stuck. It’s quite the little magic bullet for writers. 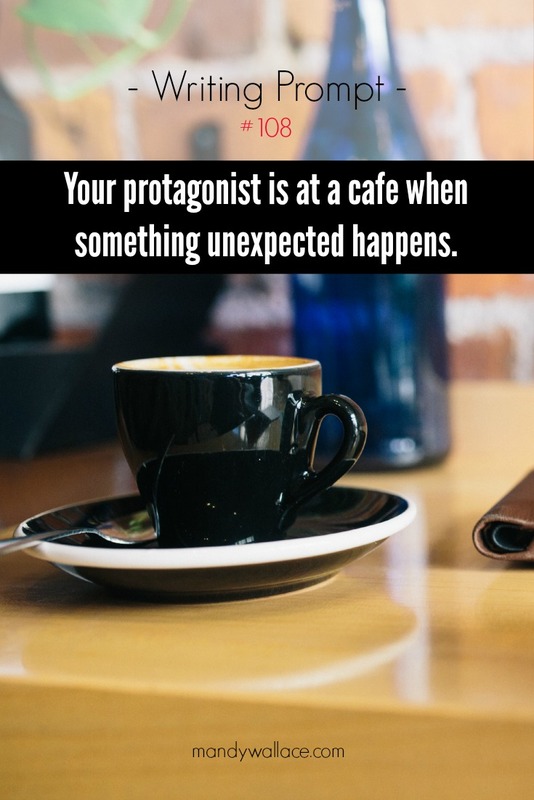 Your protagonist is at a cafe when something unexpected happens. Write a list of at least ten things that would never happen at a cafe. Then select one of the ideas from your list and plug it into your story. Take 5 minutes to consider the following questions. What brought the event about? How would you respond in this situation? How does your protagonist respond? Write for fifteen minutes. Include in your story narrative your selection from step one and the answers you came up with in step two. When you feel ready, share your best idea in the comments. Did this strategy help move your story forward?